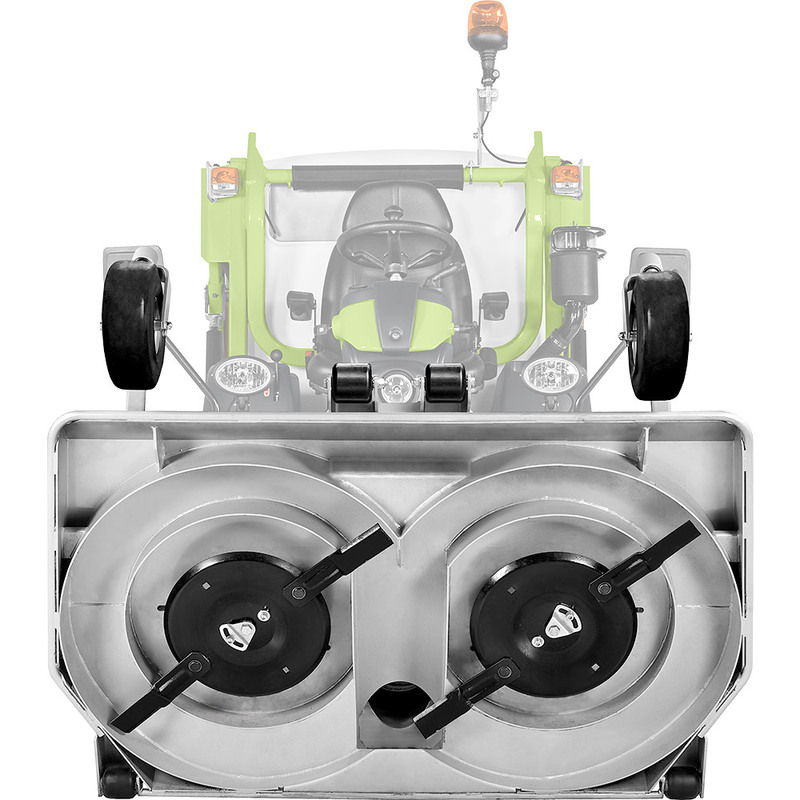 Clutch Clutch: hydraulic for PTO. 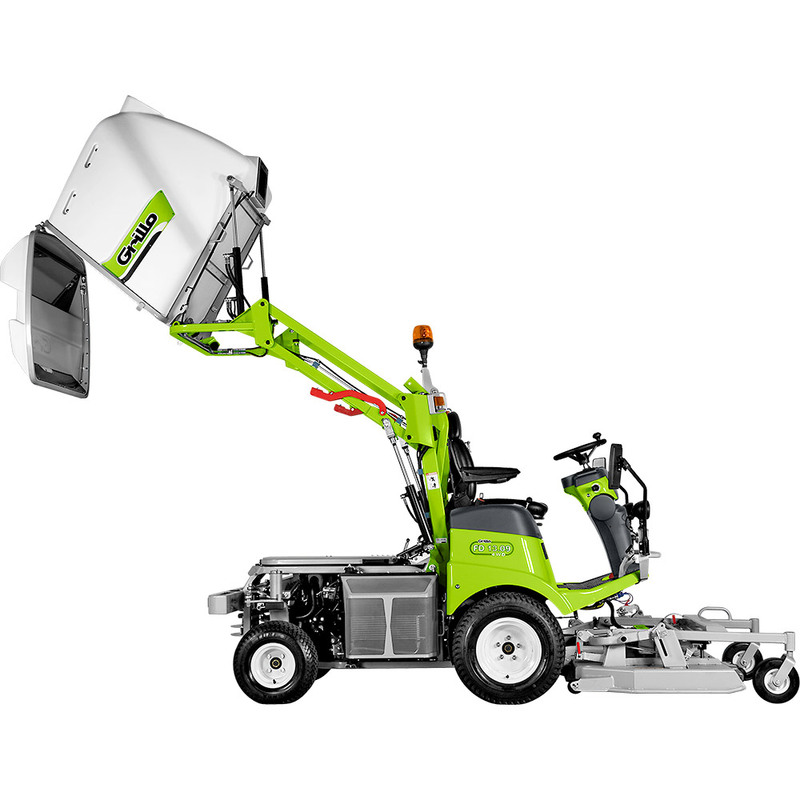 Cutting height from 20 to 100 mm, continuously adjustable through hydraulic. 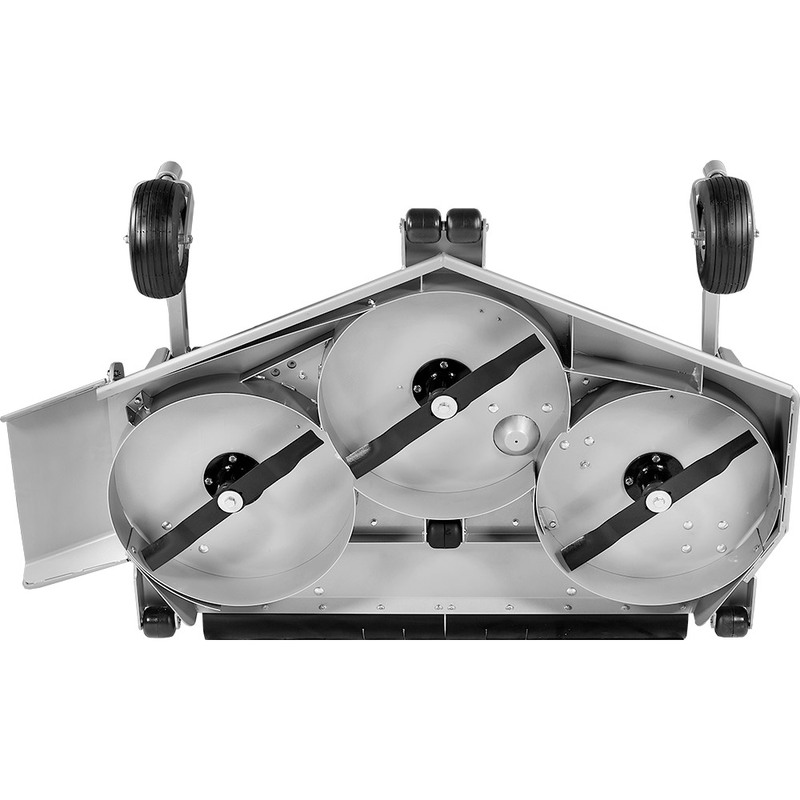 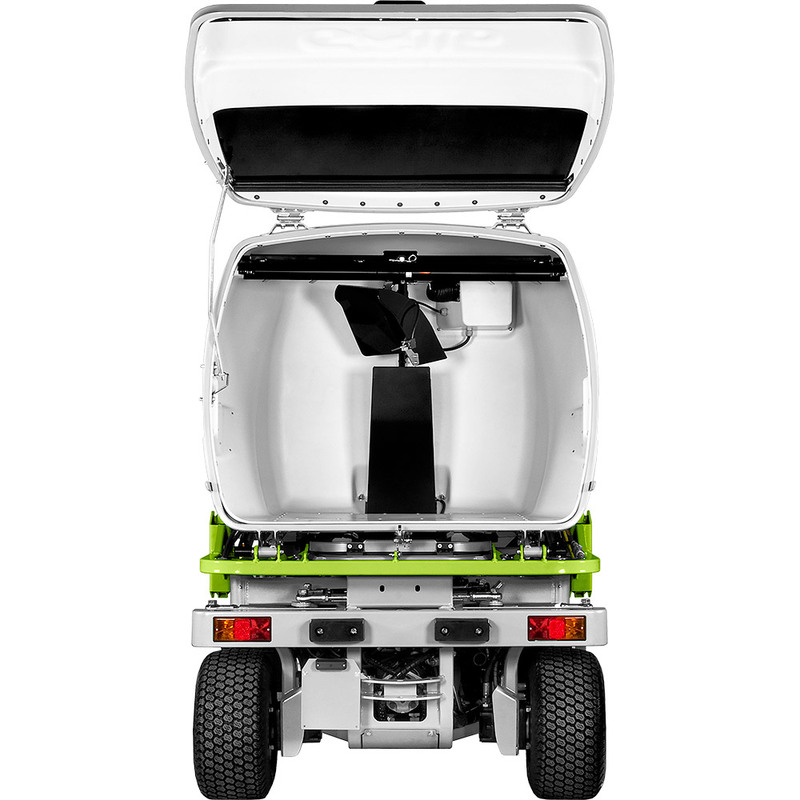 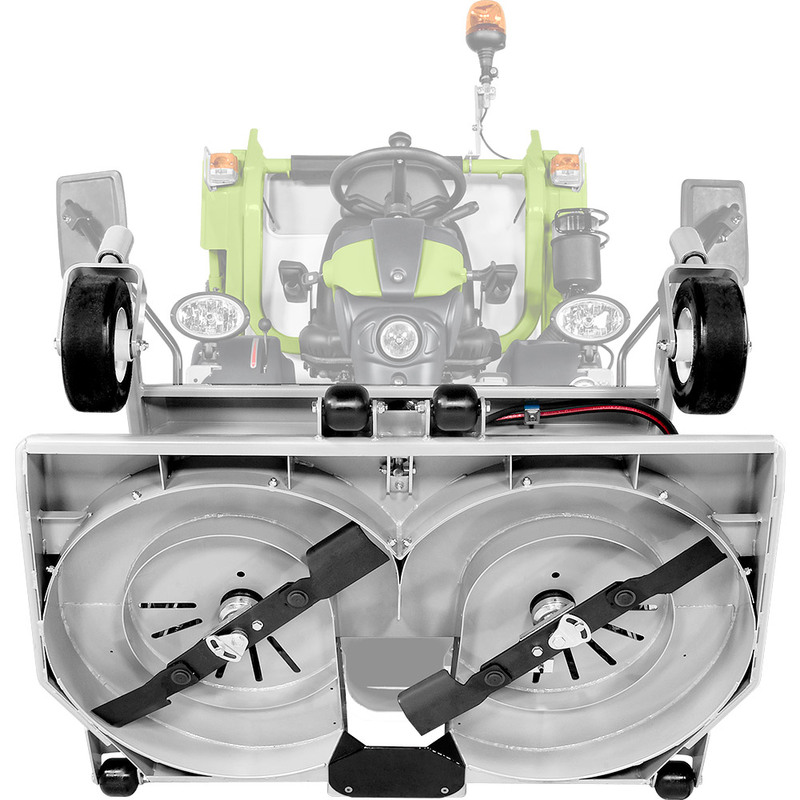 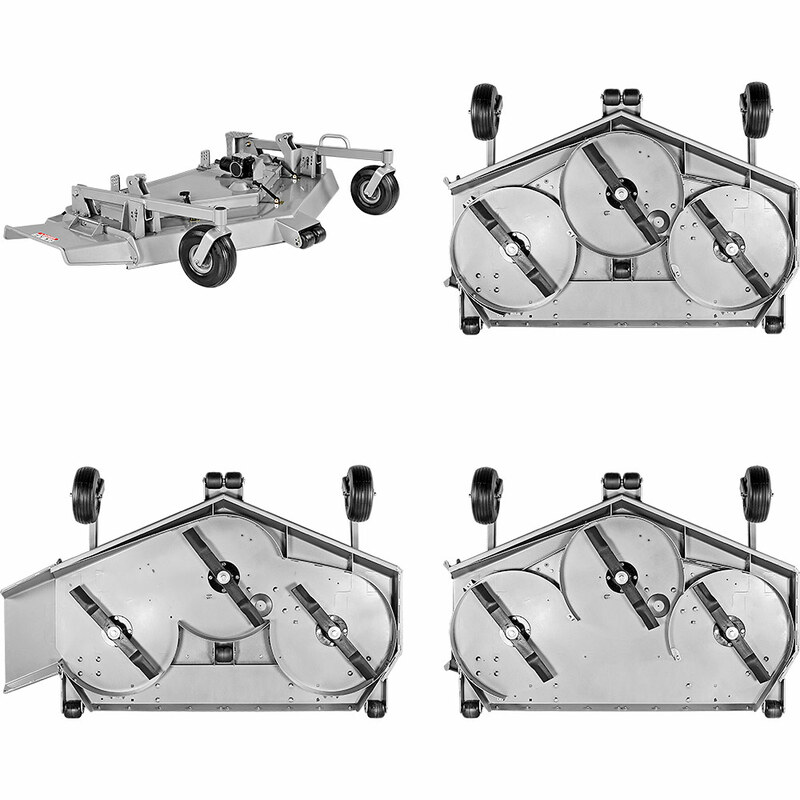 Grass collector capacity 900 L.
Grass catcher charging system Load accelerator (Ø 350 mm) with floating blades, belt transmission and independent magnetic clutch. 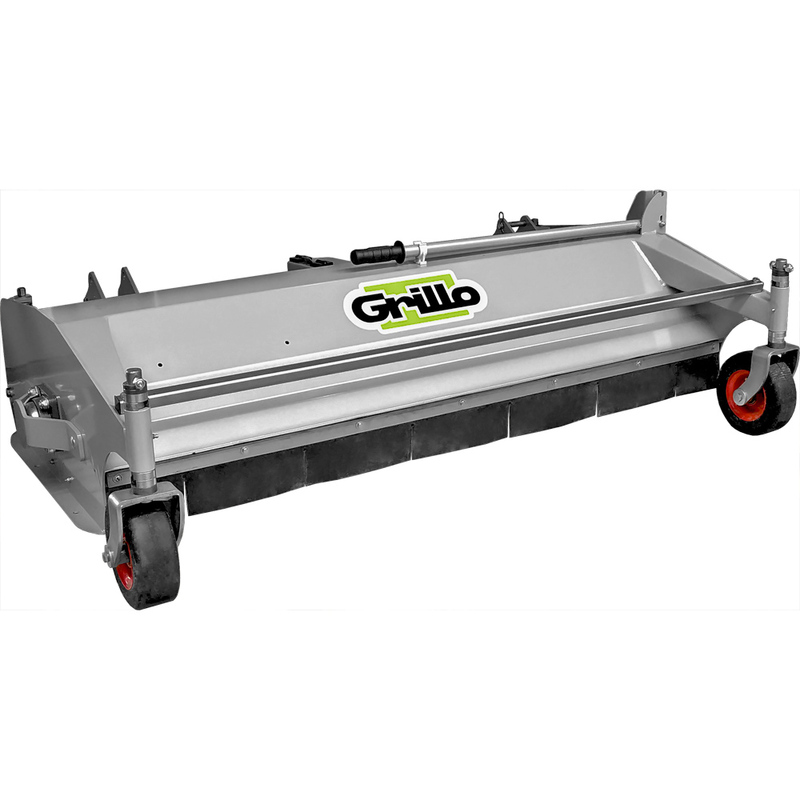 Motorised baffle providing full and even grass catcher filling. 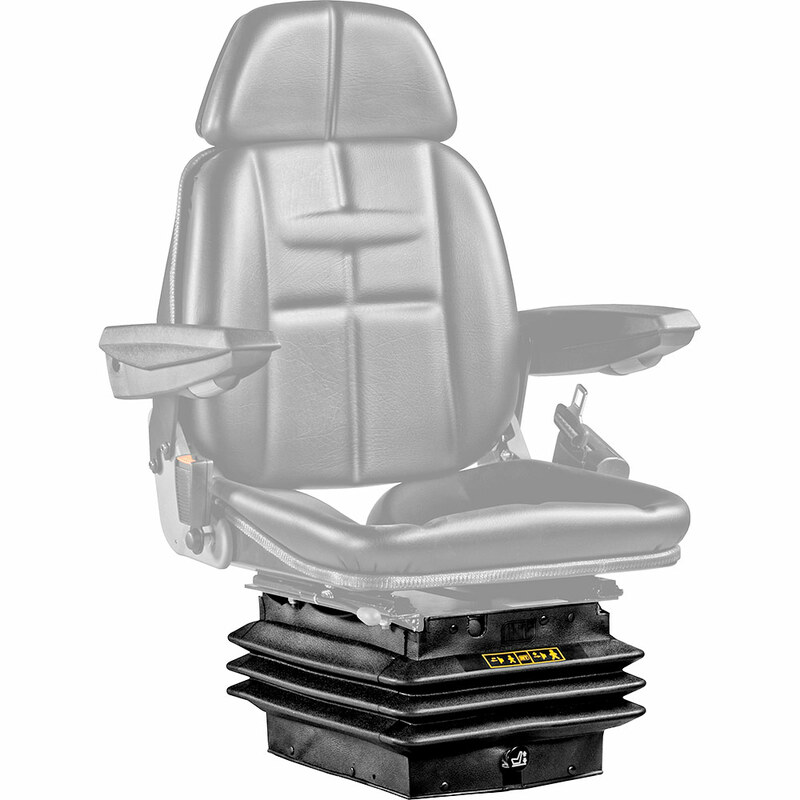 Seat Super comfort and adjustable sprung seat with arm-rests. 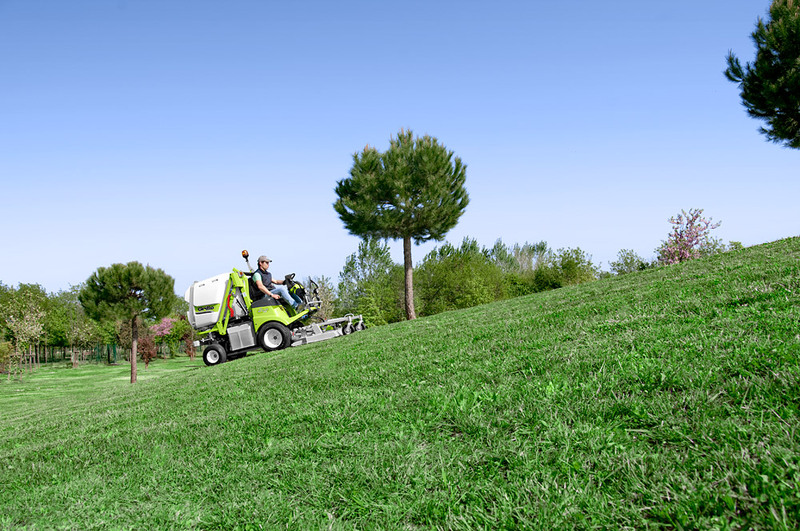 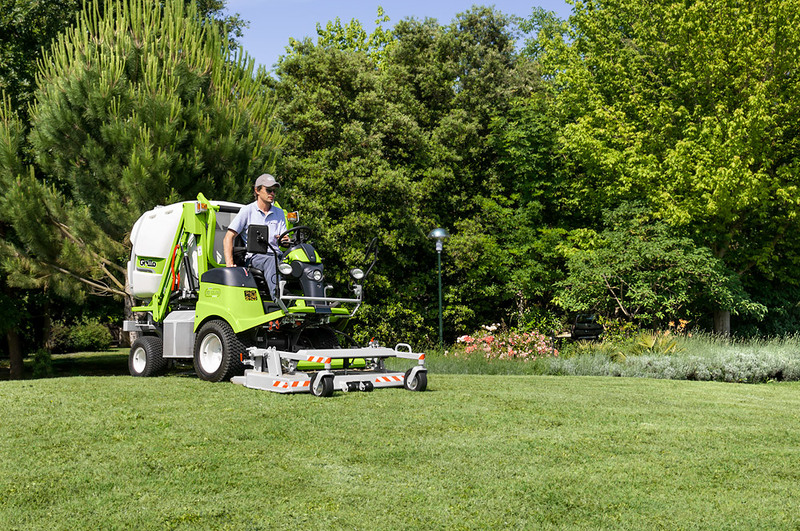 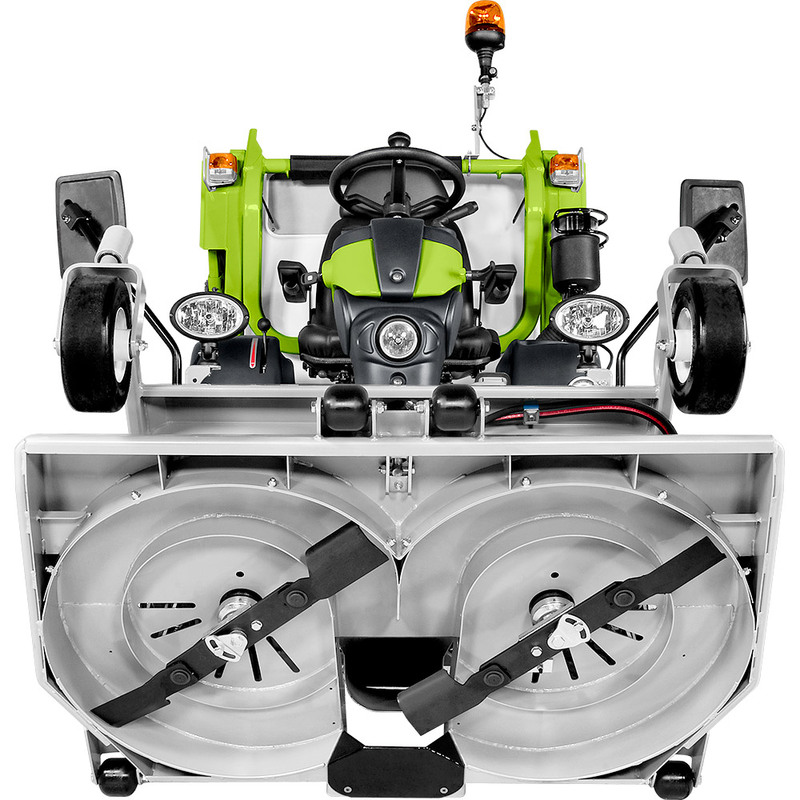 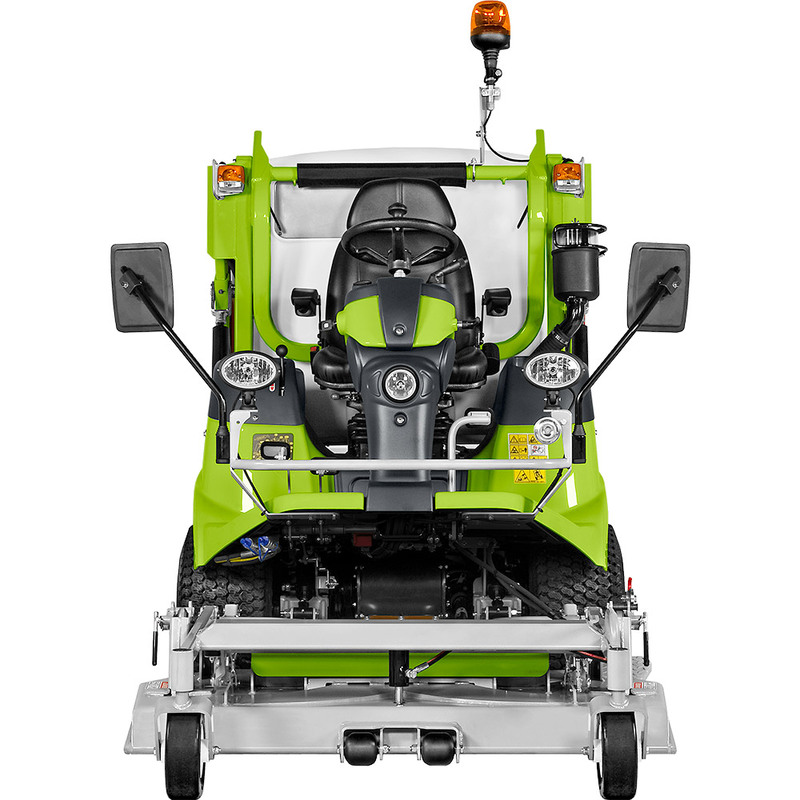 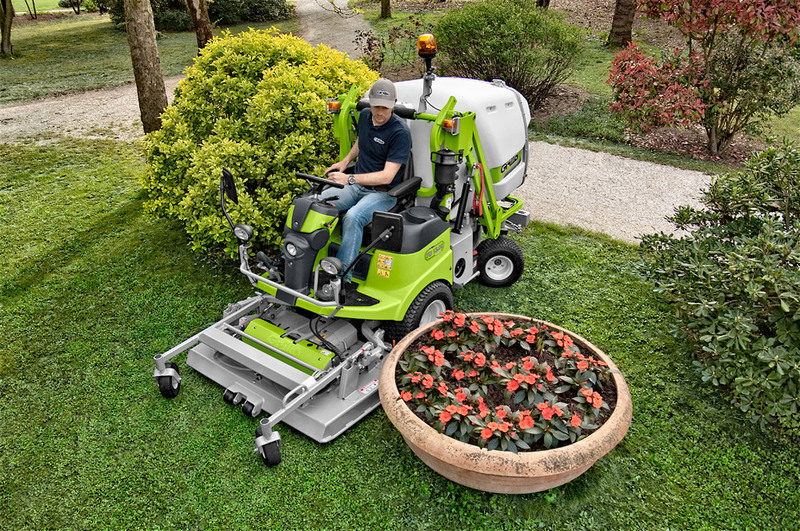 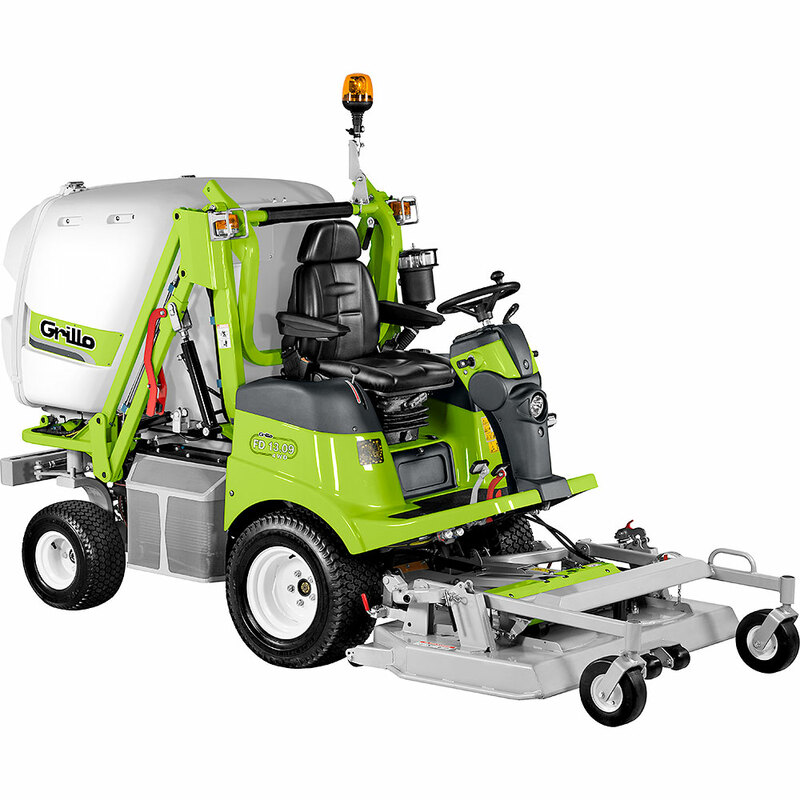 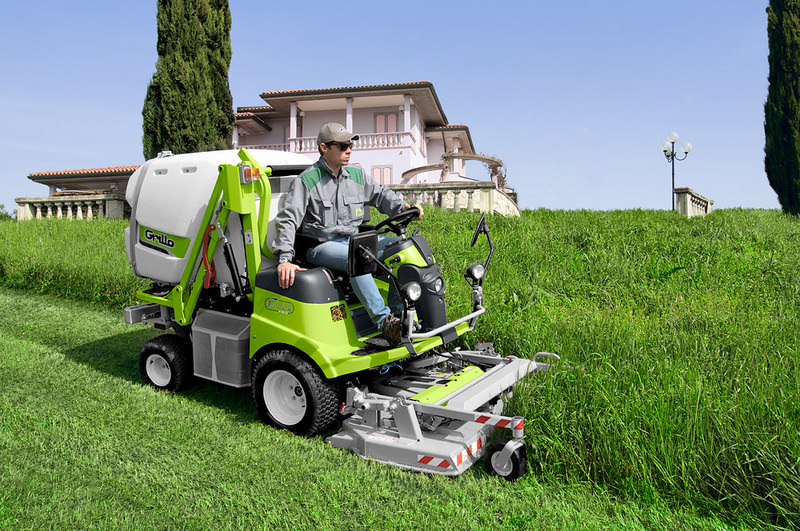 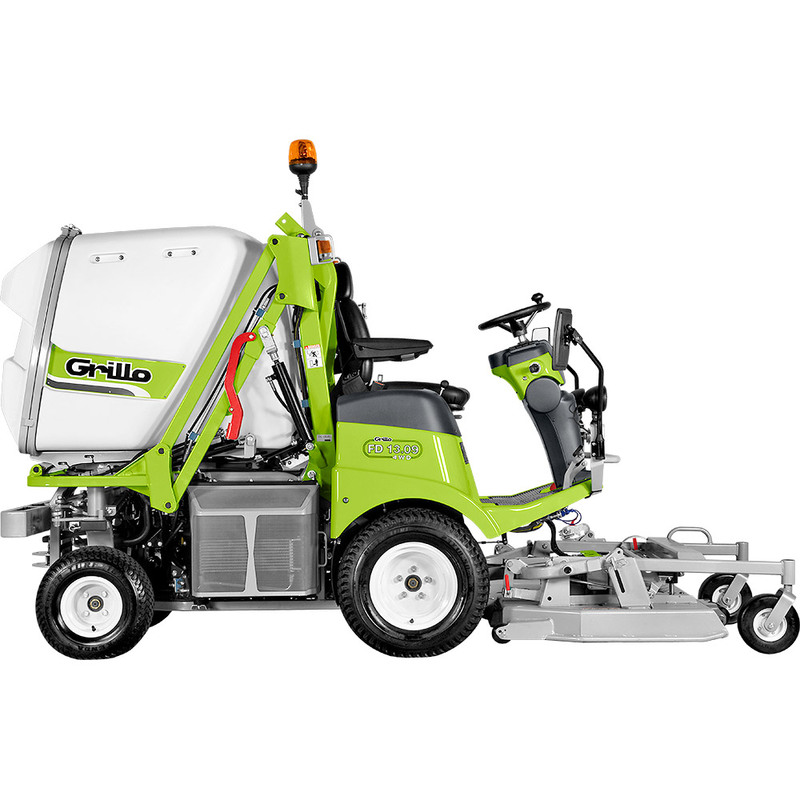 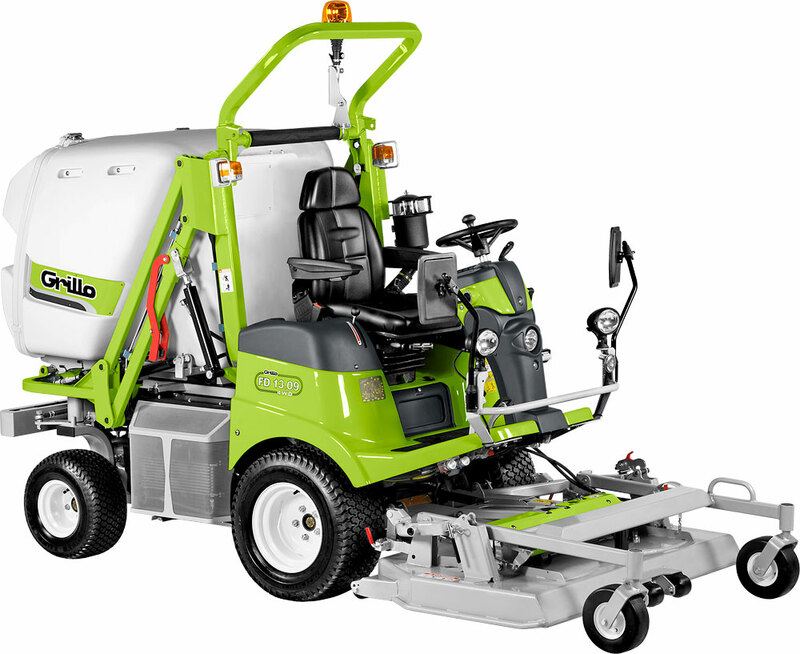 Standard features Automatic disengagement of blades and load accelerator when the grass catcher is full. 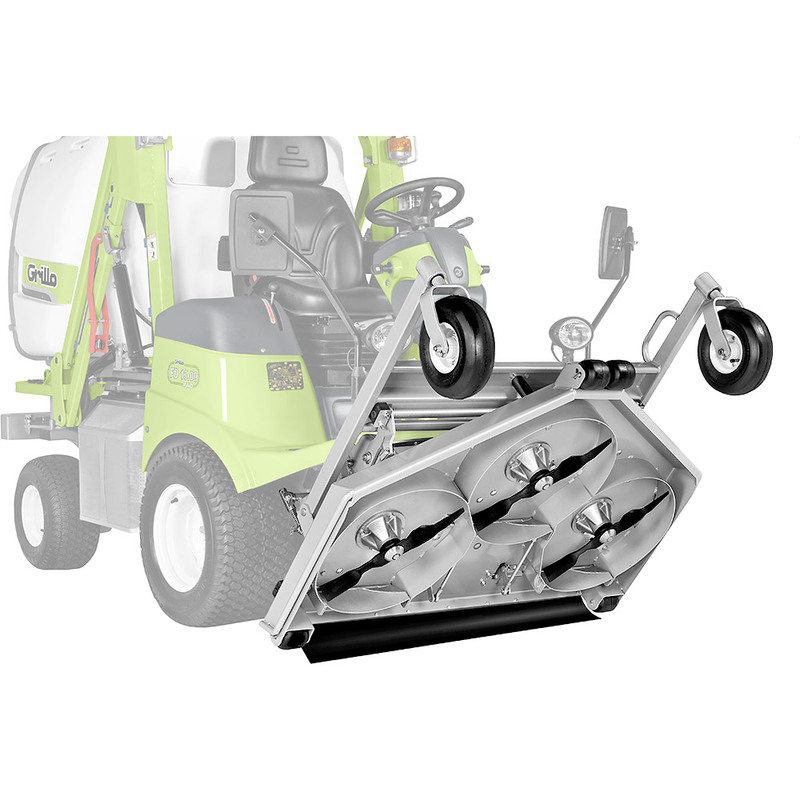 Hydraulic cutting deck lifting and grass catcher discharge. 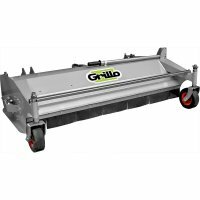 Mulching kit for 132 cm cutting deck. Lights and indicator kit. 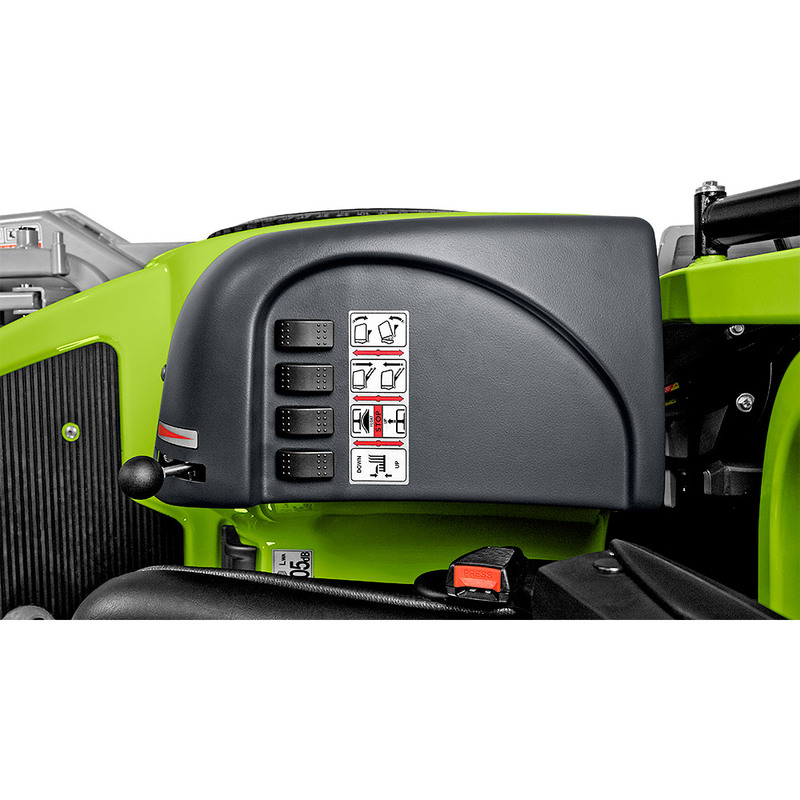 Electrically operated hydraulic cutting height adjustment, hydraulic maintenance position. Electrically operated hydraulic cutting height adjustment. 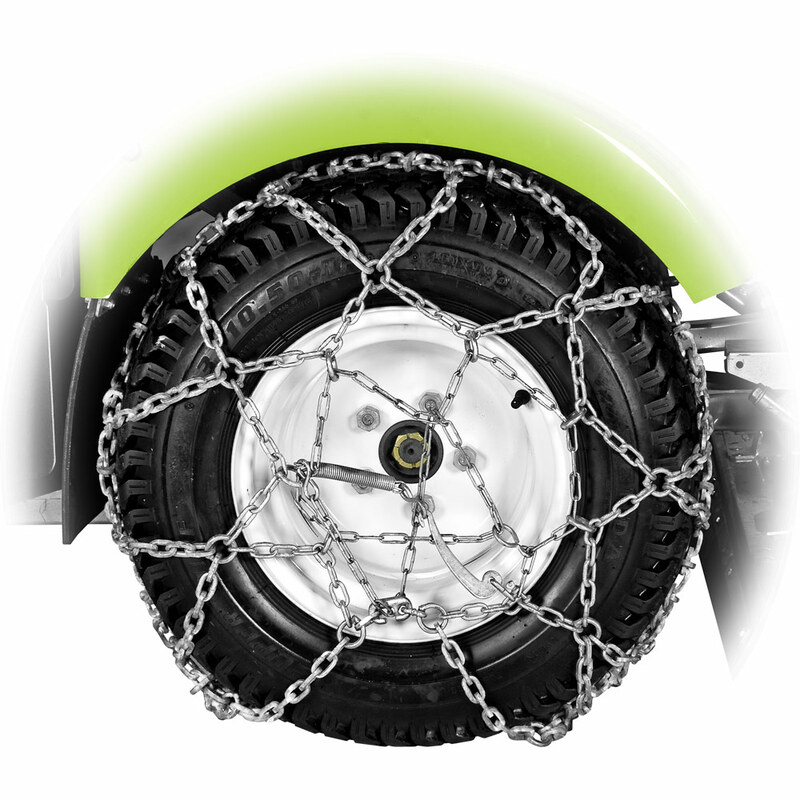 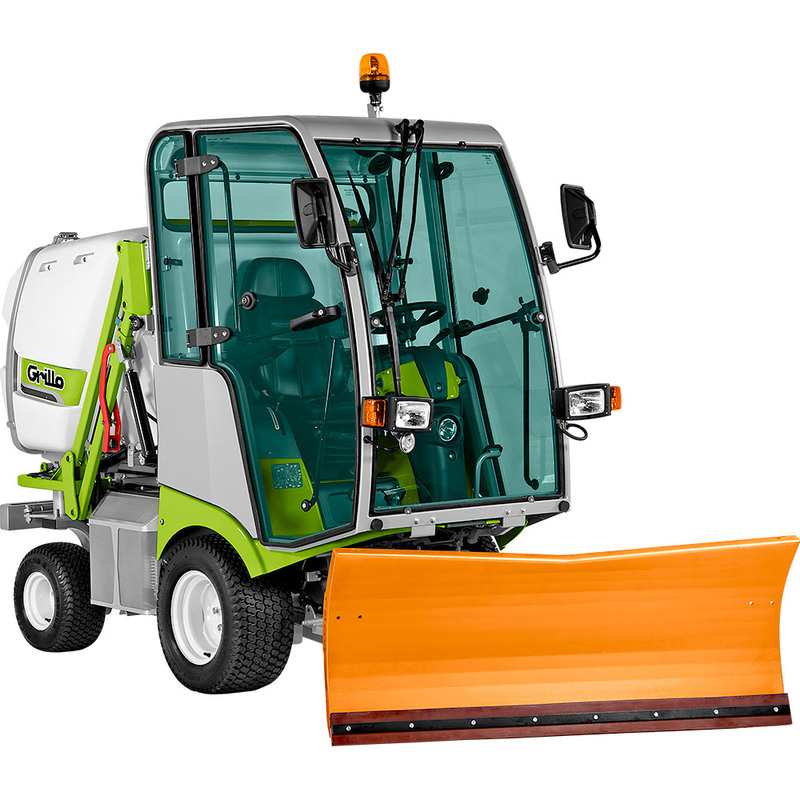 The orientable front blade allows to rapidly free pathways from snow and ice; it's useful for removing stone piles or sand heaps. 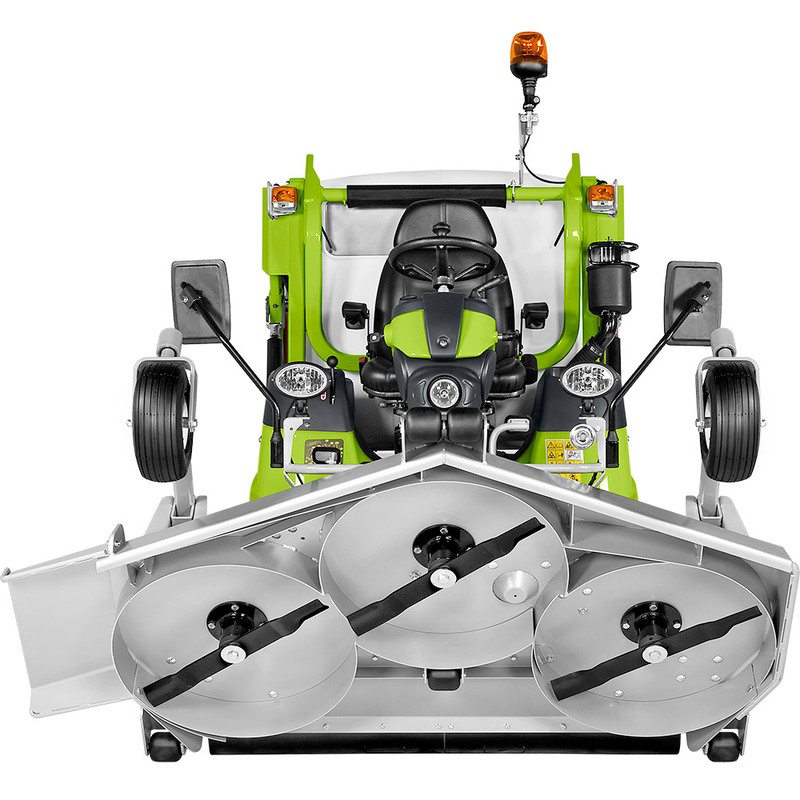 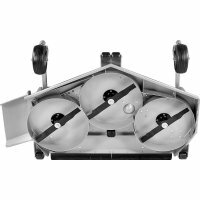 All blade movements are hydraulically controlled; the blade can be lifted up and inclined laterally of + / - 30°. 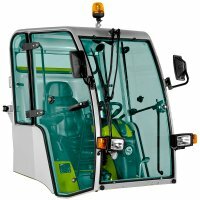 The comfort cabin is equipped with an anti-condensation heating system and ensures a great visibility on the area to be cut. 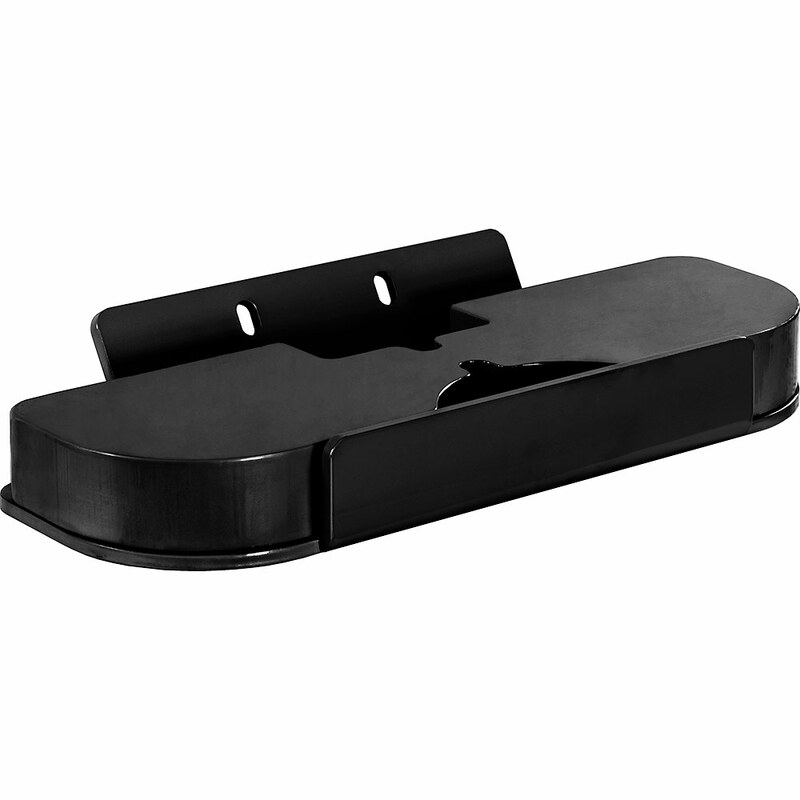 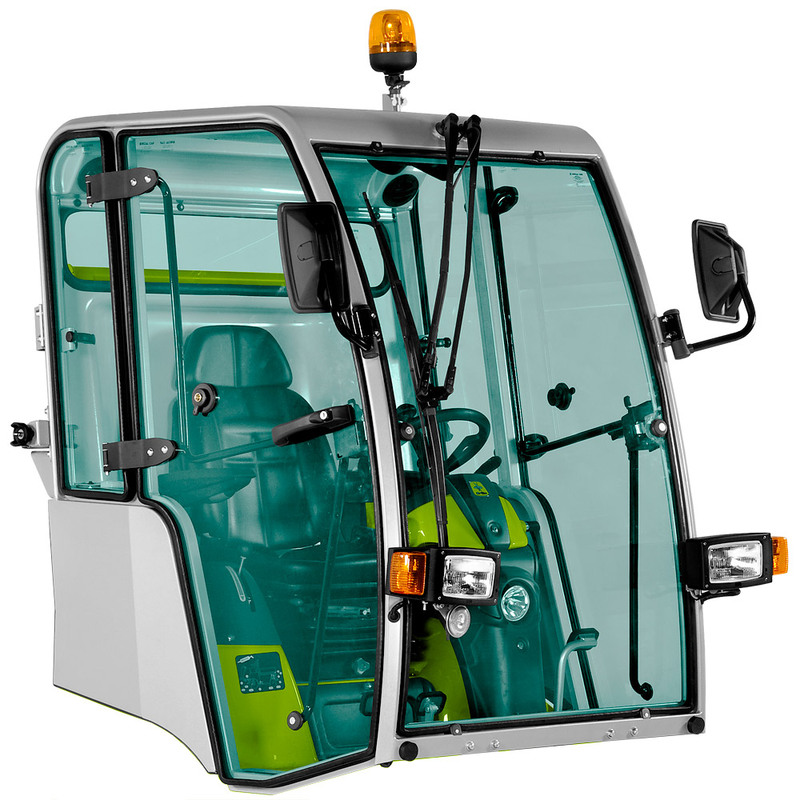 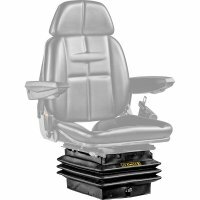 The equipment includes windscreen wipers, windows as well as internal and external safety closing.